Northfields. It's that place the Piccadilly line crawls through on the way to Heathrow, isn't it? Stop right there. This corner of west London marks the start of a great micropub crawl. So sack off the holiday, jump off the train, head up the Northfield Avenue, and go for a drink. If you like your beer, you'll be aware of the micropub phenomenon. They're usually one-room bars built in converted shop units. 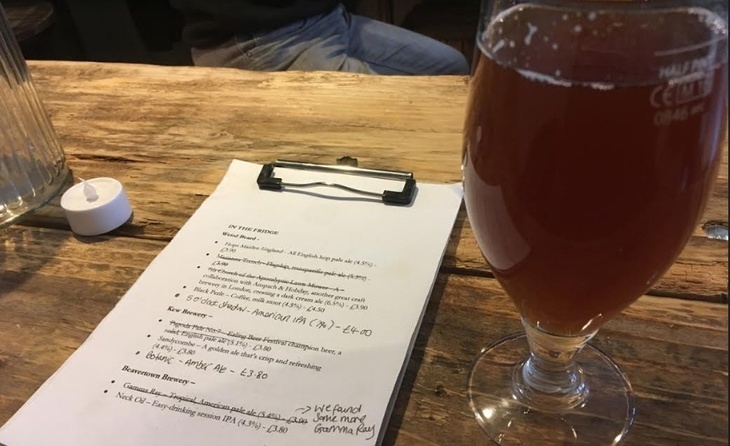 They concentrate on cask ales, and music and mobile phone calls are often frowned upon — this is about rediscovering the art of enjoying a drink and some conversation. Beautiful. Even better, you can do this particular crawl entirely on foot. To start, take the Piccadilly Line to Northfields, turn right to walk up Northfields Avenue, and keep an eye out for the fifth road on your left, Bernard Avenue. Just after that, you'll find the Owl and Pussycat. The first micropub in west London, the Owl and Pussycat opened its doors in December 2016. 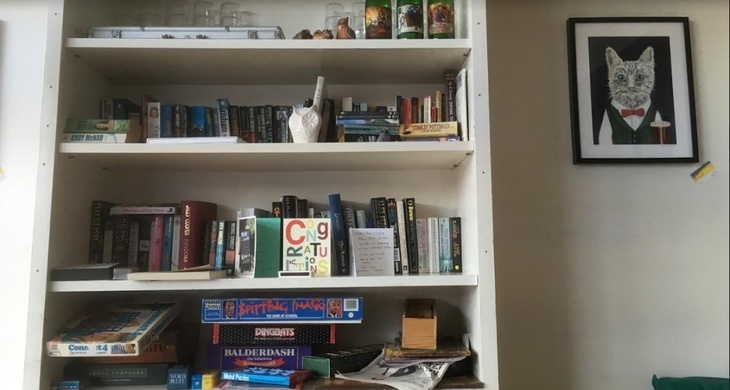 The name comes from the building's former use as a children's bookshop — the shelves are still in place with (grown-up) books to read and games to play. It's run by two teachers, Mark Yarnell and Paul Yock, and sells beers from their own Marko Paulo microbrewery, based in the back room. Unusually for a micropub, it also sells beer from kegs. While there's wine, cider and soft drinks, this is a place for ardent beer fans. And while Mark and Paul are careful not to overstretch themselves, there's enough of a range on for you to sample a few different styles. Fancy learning how to brew your own? There's now a monthly home brewing club. We visited on a Friday afternoon, and there was a steady trade of regulars and curious visitors — this is already becoming a local favourite. When you're done here, turn left out of the Owl and Pussycat, carry on up Northfields Avenue, take the second left into Mayfield Avenue, then the second right into Midhurst Road. Then it's the third left into Leighton Road, and right into Seward Road. You'll find The Grosvenor right in front of you. 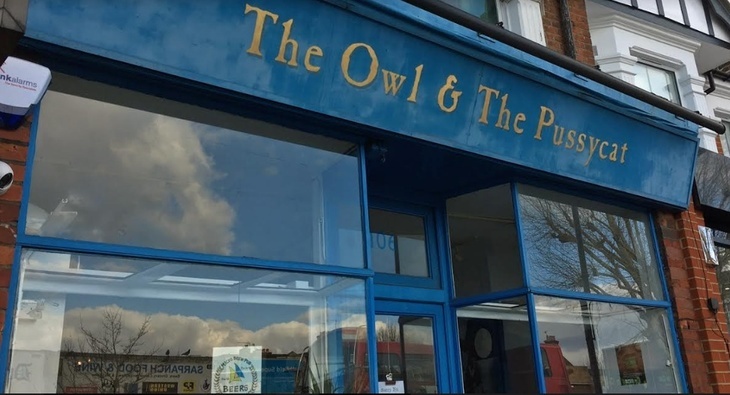 The Owl and Pussycat, 106 Northfield Avenue W13 9RT. Open 4pm-10pm Mondays-Thursdays; noon-10.30pm Fridays; 11.30am-10.30pm Saturdays; noon-3pm Sundays. 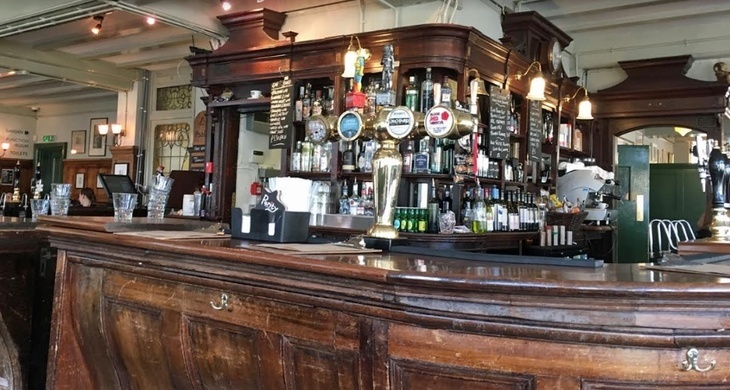 Although not a micropub, this is a gorgeous boozer nonetheless, with wooden interiors, stained glass, and a love of craft beer — with breweries invited to take over the taps. If what's behind the bar doesn't appeal, there's a fridge full of cans and bottles. 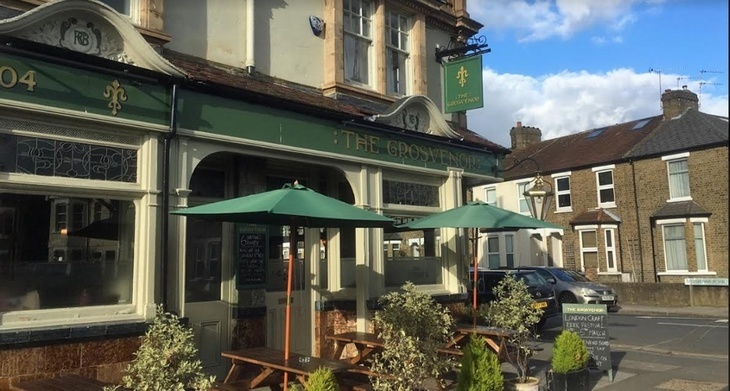 The Grosvenor is a real community hub with open mic and quiz nights, and it's a great little stop-off between the two micropubs on this crawl. Ready to move on? Turn right out of the Grosvenor into Oaklands Road. When you reach Boston Road, cross over into Trumpers Way, and walk until you reach the River Brent. Go onto the riverside path, and head right until it crosses the river. At this point, turn right into Green Lane and you'll reach our next stop, The Fox. Just like the Grosvenor, the Fox is a backstreet gem. 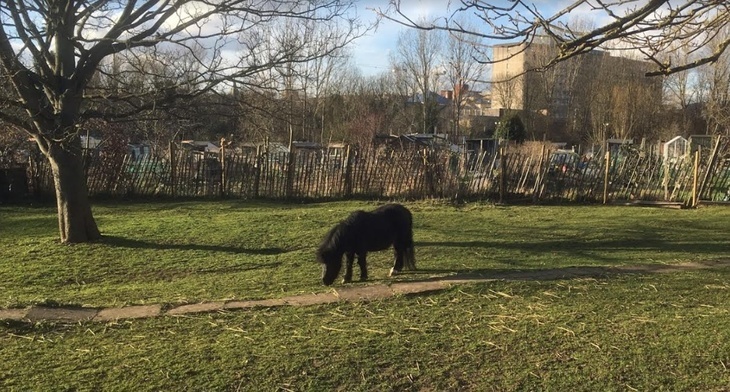 Sat at the point where the Grand Union Canal leaves the River Brent, this is a quiet spot with ponies in a little field opposite (don't feed them, buy you can donate to their upkeep at the bar — their owner's a regular). 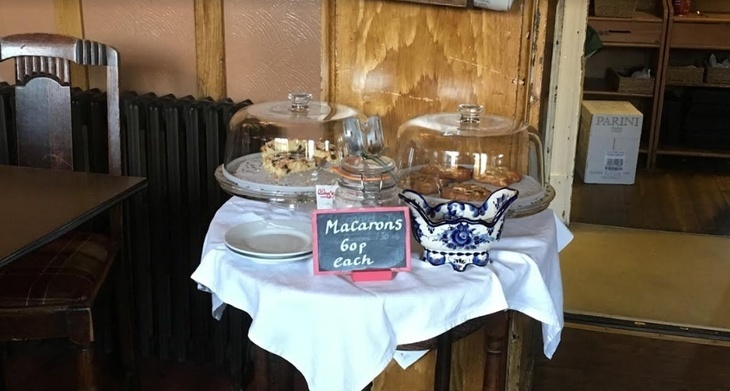 This place feels part pub, part tearoom — when we visited, you could buy macaroons for 60p each as well as Ealing honey. There are even dog treats for sale. There's also a wide range of beers on — even the rare treat of Lowenbrau lager on tap (if you're nostalgic for what Londoners drank in the early 1990s). This is the kind of pub you could lose a whole day in; if you want an excuse to plot a return, it's on the Capital Ring walking route. Done? Walk up Green Lane, past the ponies, to Upper Boston Road. Turn right and head to the triangular junction with Boston Road. Peckish? The Horseshoe cafe here comes highly recommended by locals. Or you could turn left into Boston Road — the Dodo is on your left. This is the one that'll make you dream of opening your own micropub. Lucy Do had that dream after visiting one in 2014 — so she packed in her marketing career to do it. 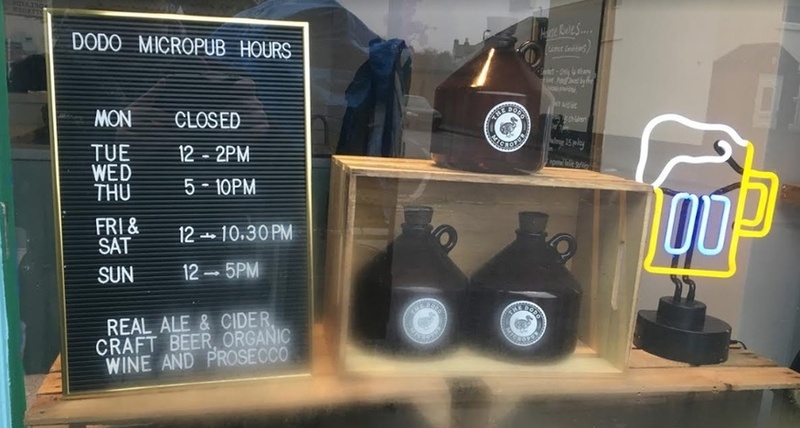 The Dodo opened in January 2017, becoming west London's second micropub. Lucy's created a terrific little bar, beautifully fitted-out and subtly-lit, while she and her partner Alex are great hosts. (If you're lucky, you might get to meet their dog, Bo.) There's cider, wine and prosecco on too, while beers are both on tap and in the fridge. You're encouraged to order drinks from your seat to save space. We visited on a Friday at about 4pm, and it was doing a roaring trade with a diverse crowd. It's so good, the people of Hanwell are clearly knocking off work early to give it a try. 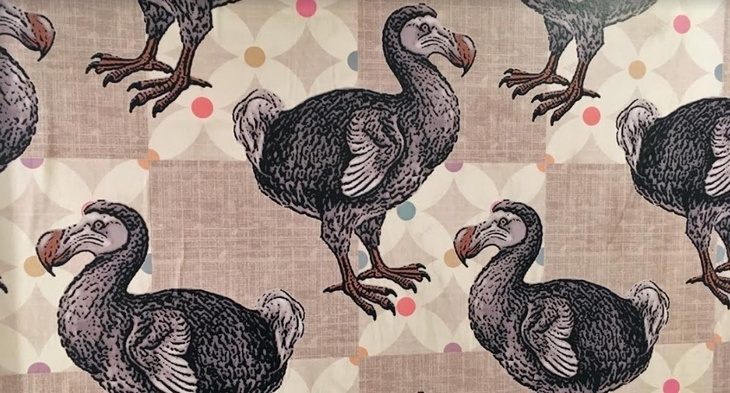 The Dodo may be named after a flightless bird, but it looks set to soar high. 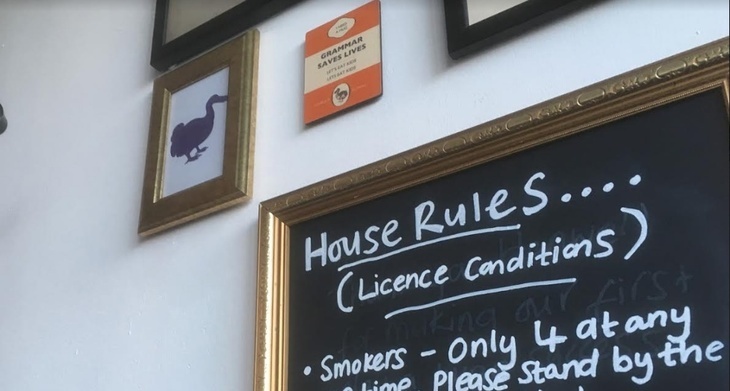 The Dodo Micropub, 52 Boston Road W7 3TR. Open noon-2pm and 5pm-10pm Tuesdays-Thursdays; noon-10.30pm Fridays and Saturdays; noon-5pm Sundays. Hanwell rail station (for trains to Paddington) is 10 minutes' walk away; Boston Manor and Ealing Broadway tube stations are a short bus ride away.